Are you looking for something extra special for your party in Bournemouth? 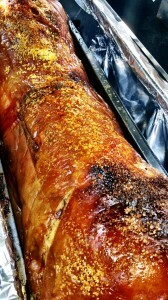 If so, Hog Roast Bournemouth have the perfect answer in one of our juicy hog roasts. Whether you’re planning a small and intimate party or you’re organising a corporate function, our top class catering team have both the skills and expertise to cater for all sizes of social gatherings. What’s more is we’ve put together a fantastic variety of menus which will please even the fussiest of eaters, and which will suit a range of budgets. From our simple but popular hog in a roll, to a full sit-down buffet style spread, our chefs and waiting staff make catering a breeze, so you can just relax and enjoy the party. 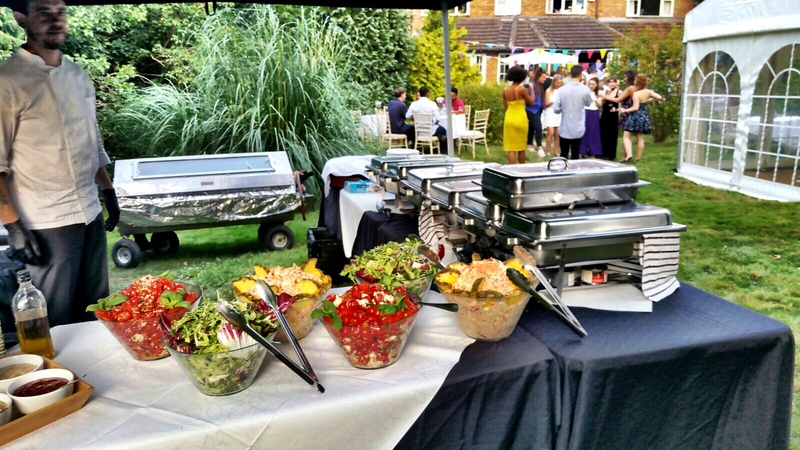 When you book Hog Roast Bournemouth to take care of your food preparation, you can be sure that your catering is in good hands. From the moment our team arrives on site complete with top quality locally sourced produce, through to the moment they finish clearing up the last of the leftovers, you’ll see that we always go that extra mile to ensure everything goes perfectly. 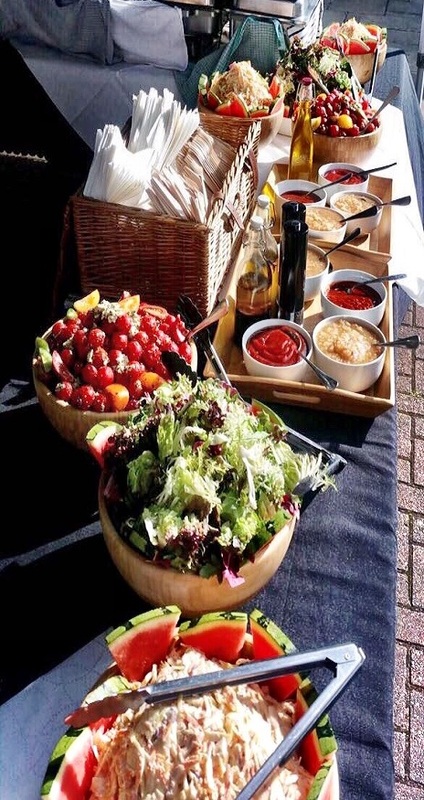 As one of the top caterers in Bournemouth, we’ll prepare everything fresh on site, we’ll arrange and serve up your chosen menu, clear up afterwards and even plate up any food that’s left, for you to enjoy at your leisure. So take a look at our menus now and see some of the delicious dishes that can make up your celebratory meal. 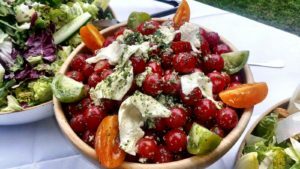 You’ll find not just hog roasts and other roasted meats, but party platters, salads, finger foods and dishes with an Oriental or Mediterranean influence, together with a selection of mouth-watering desserts, which really will get your taste buds going. Historically a remote coastal settlement that was only frequented by smugglers and fishermen, Bournemouth’s development as a town began in the Victorian era, when the health benefits of living by the sea became increasingly prevalent. Bournemouth has come a long way from its obscure beginnings and it is now a thriving south coast resort with plenty of action-packed activities on offer for adrenalin junkies, including scuba diving, jet skiing and (not for the faint hearted) kite surfing. Or if you just want to sit back and soak up the spectacular views, Bournemouth is certainly the right place to do it. If you are thinking of having a hog roast for a party or event you are planning, you have definitely come to the right place. Hog Roast Bournemouth can offer a range of menus and services that are as well-rounded as the town itself when it comes to providing something to suit your tastes. If you want a family feast with stunning sea views, we can offer a variety of traditional and modern menus that cater for different dietary requirements. If you are hosting a corporate event at the Pavillion Theatre, we will wow you with our handmade canapes and formal sit-down meal options. If you want a buzzing beach party with your friends to wind down after spending the day doing death-defying stunts on the waves, we can provide a fabulous buffet with big flavours and big portions and best of all, we will freshly prepare it all right there on the sand. It’s not a problem for us to set up on the shoreline-Hog Roast Bournemouth’s equipment is so well-designed, that we can carry it down to the beach as easily as you carry your surfboard and when it comes to cooking on location, our moves are just as impressive. If you’ve always held a secret desire to feed your guests with your own home-cooked hog roast, we’ve got a way to make your dream come true. Hiring one of our hog roast machines will enable you to cook a tasty hog roast yourself. 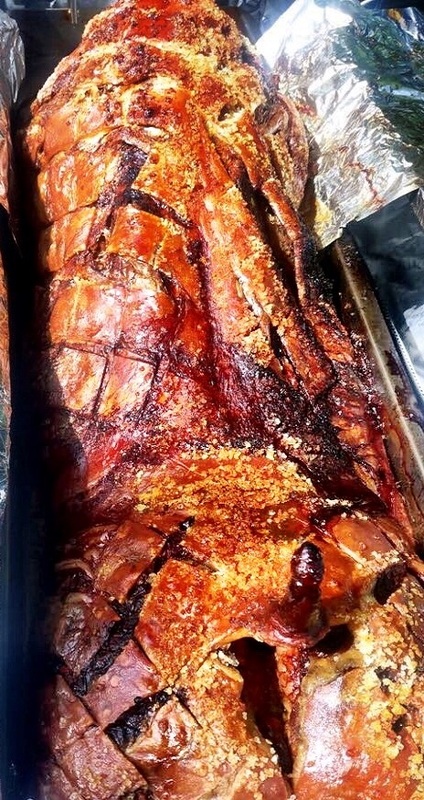 We deliver our hog roast machines in Bournemouth and the surrounding areas, and collect them again after the party is over, plus we provide all the gas needed and even our secrets for creating the perfect spit roast. And, if you’d like to order one of our locally sourced hogs, that can be arranged too. Contact us today for more information. Copyright © 2019 Hog Roast Bournemouth . All Rights Reserved.